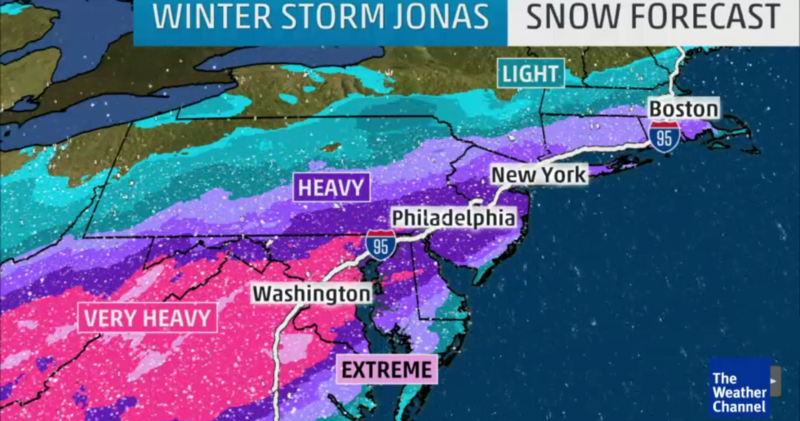 As New Jersey braces for winter weather, our heating and plumbing experts are busy responding to calls for service. “My husband woke me up this morning saying we did not have any heat,” said Gertha Heggie. The Raleigh homeowner quickly called for help, but the cold was too much to handle. “I left the house,” said Heggie. It did not take long for a technician to pinpoint the problem. The cold temperatures created electrical issues causing the system to shut off. Similar calls for service are spiking. Since Tuesday, Green Apple has received more than 50 calls from customers without heat or hot water. With snow in the forecast this weekend, crews are planning to work overtime to accommodate customers. The main valve is usually found inside a utility closet. In the event of a plumbing emergency, shut down the main water valve first. The sprinkler is the most exposed to the elements. Turning off the sprinklers will flush out any water that has collected in the hoses and keep them from freezing over. Remove all outdoor hoses from the hose bib. A frozen hose can completely damage the bib, which can be a costly repair. Insulate exposed pipes using inexpensive and easy to install foam wrap. This will also help cut down on your energy bills. Repair all leaks no matter how minor. The slightest leak can cause plumbing problems in freezing temperatures. Reducing your water use has multiple benefits. In addition to helping to conserve and protect your community’s vital water supplies, saving water also helps you save money and energy. According to the U.S. EPA, if all U.S. households installed water-efficient fixtures and appliances, the country would save more than 3 trillion gallons of water and more than $18 billion dollars per year. Conserving water also conserves energy, because energy is used to treat, deliver, and heat water. If one out of every 100 American homes were retrofitted with water-efficient fixtures, that would save about 100 million kWh of electricity per year—avoiding 80,000 tons of greenhouse gas emissions: equivalent to removing nearly 15,000 automobiles from the road for one year. Composting toilet, which uses little to no water for flushing. If you have a 1.6 gpf (post-1994) toilet, you can make it more water-efficient by putting a small water bottle (filled with water, with the cap on) into the toilet tank for displacement. (It’s not a good idea to put a brick in the tank, as it will erode and the sediment can clog up the works.) Soon, fake “bricks” should be available. For commercial/office-building bathrooms, install ultra-low-flush (ULF) urinals in lieu of regular urinals. Showering accounts for up to 20 percent of the average household’s indoor water use. You can cut your shower water use by as much as 70 percent by switching to an ultra-low-flow showerhead, which is easy to do. And unlike days of yore, many of today’s models of high-efficiency showerheads will give you a good strong shower stream. If you have an old or inefficient showerhead (one that uses more than 2.5 gallons of water per minute: gpm), replace it with a high-efficiency/ultra-low-flow showerhead that uses no more than 2 gpm (the current EPA WaterSense standard). Be aware: Those “luxury shower towers” or pie-plate-sized, monsoon-downpour-imitating fixtures are major water-wasters; they can use as much as 20 gallons of water per minute. Is it better to run the AC all day or turn it off when going to work? There are lots of crazy myths about energy use, and one of them is that somehow it takes less energy to run the air conditioner all day while you’re at work, than it does to have it off all day and then turn it on when you get home. The theory is that the AC has to work “harder” when the house is hotter. So let me give it to you straight: Turning the AC off when you leave definitely takes less energy. Period. In my own test, having the AC run all day used 317% as much energy as turning it on after work and cooling it down to the same temperature. My test was a bit crude and I won’t be surprised if the penalty for having your AC run all day is actually a bit less, but the point is, there’s definitely a penalty for running the AC all day. The reason is simple: If an AC is constantly cooling your home, the cooler house is a heat magnet, which invites more heat into the house, which the AC then has to remove, over and over. To see why this is so we need only remember something from high school physics: heat goes to where it’s not. If you bake a potato and then set it on the table, what happens? Eventually it cools down to room temperature. That’s because the room was cooler than the potato, and heat goes to where it’s not, so the heat from the potato transfers to the room. Once the potato gets down to room temperature, the heat transfer stops. Next example: Put an ice cube on the table. What happens? It melts, of course. But why? It melts because heat goes to where it’s not. The room is warmer than the ice cube, so the heat from the room goes into the ice cube, which absorbs the heat. That’s what melts it. The ice cube is basically a heat magnet. Okay, so now think about your house. You leave for work, and you shut the AC off. It’s warmer outside than inside, so heat enters your home. You come home, turn on the AC, and the AC removes all the extra heat, once. Now let’s try it the other way: say when you leave for work you leave the AC on. The AC constantly removes heat from your home, making it cooler, so you’ve just made your house a heat magnet, just like the ice cube. The cooler it is in the house, the more heat wants to enter the house. By constantly cooling the house, you’re inviting more heat into the house, which the air conditioner has to remove, over and over. 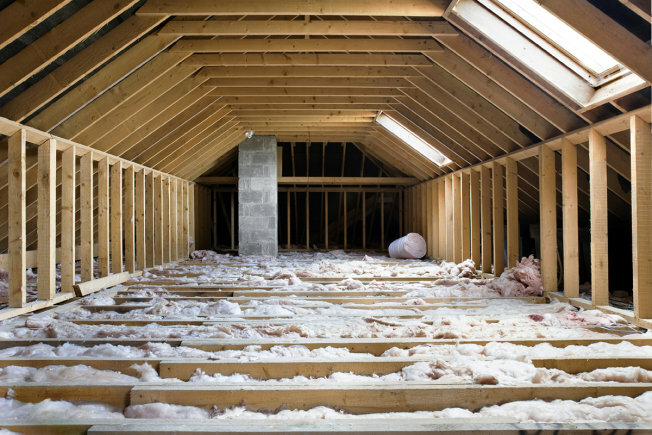 Now, you might wonder, “So why does my house sometimes get warmer than it is outside?” One reason is that the energy from the sun is hitting the house, especially the roof, which makes the attic super-hot, and that heat migrates into the house. If heat goes to where it’s not, then why doesn’t the heat from the house go outside where it’s cooler? The answer is that it does, but you don’t get heat equilibrium instantaneously. When you put the ice cube on the table, it doesn’t instantly turn to water, and when you take the potato out of the oven, you have to wait a bit before it cools to room temperature. But that’s neither here nor there about whether to turn the AC off when you leave home. It definitely saves energy to turn the AC off while you’re gone. Show your heating system some love before things get too chilly. As your family settles into the back-to-school routine and those mornings turn chilly, thoughts slowly turn to pumpkins, fallen leaves and keeping warm. But you shouldn’t take for granted staying warm while keeping your energy bills reasonable. One of the most important, and easiest, things you can do is change your air filter every month. When the filter gets dirty, the congestion makes the system work harder. That ultimately increases your energy bills and can potentially shorten the life of your unit. The U.S. Department of Energy says the average household energy bill is $2,200 a year. Changing your air filter every month or so can save from 5 to 15 percent. And it’s not just about money. If anyone in your family suffers from allergies or asthma, dirty air filters can worsen the air quality and exacerbate the symptoms. Replacing your filter removes much of the dust and pollen particles and ensures that your air quality stays healthy. 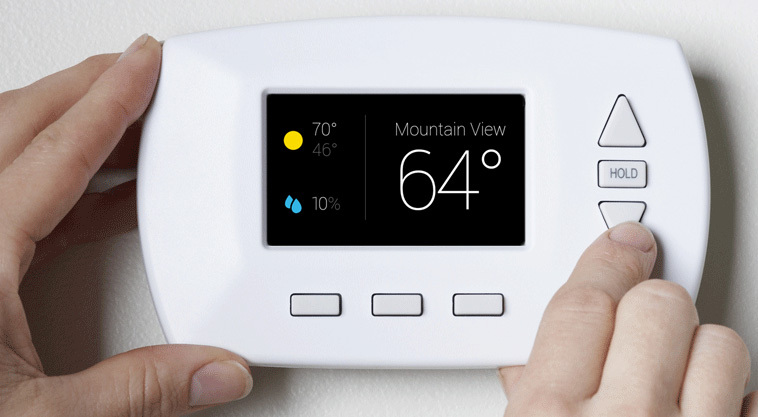 If you don’t have a programmable thermostat, you should get one. With a programmable thermostat, you can set the temperature colder during the night when you’re asleep (pile on the blankets or use an electric blanket) and during the day if everyone’s away at work and school. An HVAC contractor should check out your thermostat during a routine tune-up to make sure its running efficiently and is calibrated properly. If it’s out of whack, you could be paying more than you need to and your house won’t heat as efficiently as it should. When installing a thermostat, it should be placed away from any cold or heat sources. An interior wall away from drafts and sunlight is a good location. As part of a seasonal tune-up, a professional from “Green Apple Plumbing NJ” will make sure your unit doesn’t show any sign of carbon monoxide. It’s dangerous because it’s colorless, odorless and scentless, so it’s frequently not detected until it’s too late. Each year more than 400 people die from unintentional carbon monoxide poisoning, according to the Centers For Disease Control and Prevention. Cold air can creep inside if windows and doors aren’t sealed. You should check the base and edges of doors and windows for drafts. If you feel any, purchase some rubber weatherstripping and apply it to seal up and prevent draftiness. It will keep the cold air from getting in and prevent your system from having to work harder. Weatherstripping and caulking are probably the least expensive, simplest and most effective methods for conserving energy in the winter and summer. Improperly sealed homes can add an extra 10 to 15 percent to your energy bill and reduce the effectiveness of air-conditioning in the summer and warming in the cold months, according to the Energy Commission. New systems and air conditioners cost thousands of dollars. And energy bills are high enough without inefficient systems increasing them even more. A “Green Apple Plumbing NJ” contractor can provide cleaning and a check-up at the start of fall to make sure your heater is functioning properly. This will help extend the life of the unit and ultimately save you money on your energy bill. 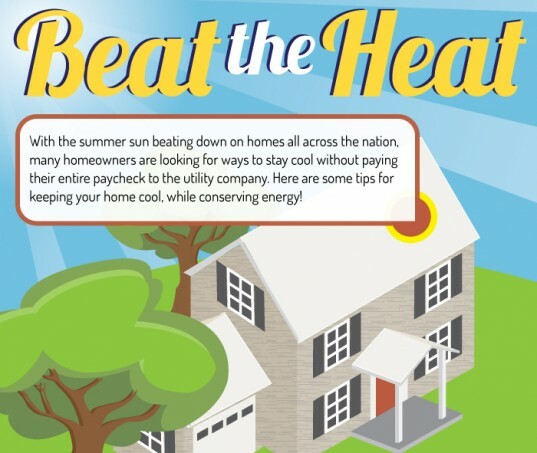 With scorching summer temperatures, it’s no surprise that people spend about 25 percent of their energy consumption on air conditioning each year. In homes, we use more energy to run the AC than any other singular task including water heating, home heating and running the refrigerator. With so much energy going into cooling your home, we wanted to share seven ways to get the most out of your air conditioner. When coming home after a long commute under the hot sun, the first thing you may want to do is put the AC on full blast, but setting your thermostat to a colder setting than normal will not help cool your home faster. The colder temperature setting will actually make your AC work harder unnecessarily, costing you more money as a result. Even though you may be tempted to keep your thermostat at a low 72 degrees in the summer, the Department Of Energy suggests that you keep the thermostat at a higher temperature. The closer your indoor temperature is to the outdoor temperature, the lower your electricity bill will be. To get the maximum savings on your energy bill, experts suggest setting the thermostat at 78 degrees when you are home and 80+ degrees when you’re away during the hot months. Also, keep appliances including lamps, computers and TVs away from the thermostat if possible. The heat from the appliances can raise the temperature near the thermostat and cause your AC to work harder than needed. Does 78 degrees sound too warm? There’s a low-cost solution for that. Turn on your ceiling fan or floor fan in any occupied room to cool you down. Fans help distribute the cool air your AC produces evenly and creates a wind-chill effect against your skin, making it feel anywhere from four degrees to six degrees cooler than the actual room temperature. While fans do use electricity, they use considerably less than your AC unit. Utilizing fans can help you resist the urge to turn down your thermostat’s temperature, which will save you money. Just remember to turn off the fan before leaving the room since it doesn’t actually cool the air. Now that it’s hot out, you need to keep every bit of that cool air in the house. You can do this by sealing air leaks found in windows and doors and adding insulation to your attic and basement , if your house has one. This quick and easy inexpensive project has an energy savings of up to 10 percent. During the summer the last thing you want is direct sunlight streaming into your office or living room and heating up the place. Block the sun’s rays and reduce the amount of heat that enters your home by installing blinds or thick drapes. Keeping these decorative yet practical items closed will reduce the amount of radiant heat entering your home, giving your air conditioner a much-needed break. Did you know about 20 percent of air moving through a duct system is lost because of leaks, holes or poorly connected ducts? Duct joints often become loose as a system ages, creating gaps in the system. Sealing and insulating ducts help prevent loss of cool air and improve the air’s movement through the duct system. Homeowners can save up to 10 percent annually on their energy bill when they properly seal and insulate their ducts. If your energy bills are still creeping up, consider calling a professional. “Green Apple Plumbing NJ” recommends that you hire a certified technician to tune up your AC once a year to keep your equipment running efficiently. 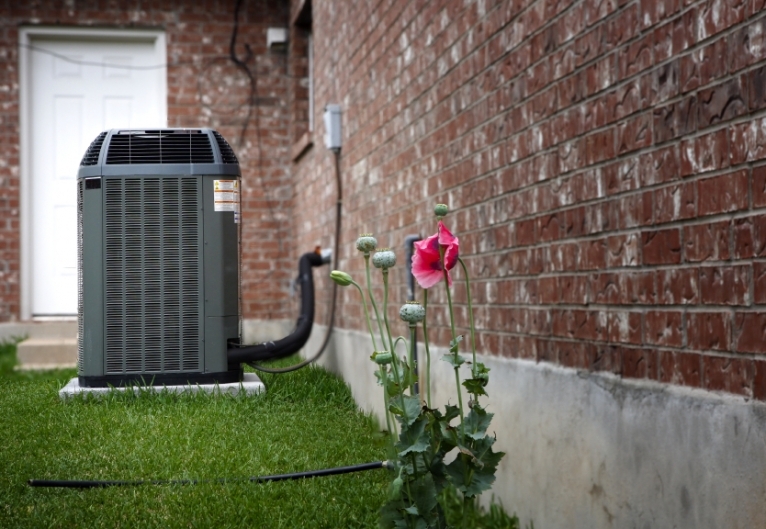 Dirt and neglect are top causes of an air conditioners failure. One simple task you can do on your own to keep your AC clean is regularly changing your air filters. During summer, change it out at least once every one or two months. Dirty filters prevent air from flowing and make your AC work harder to cool a room. Cleaner filters improve efficiency and reduce cooling costs and energy consumption by 5 percent to 15 percent. When it comes to plumbing, there are plenty preventive measures that can help you avoid unnecessary water, energy and money loss. From cutting down on daily water use, making sure taps and pipes are in good condition to conserving water and reducing bills – it’s easier than you might think. A dripping tap is more than just an annoying sound; it can cause the waste of up to 15 gallons of water per day and add approximately $100 to your yearly water bill. To avoid wasting precious water, make sure you turn your taps off completely. If fully closed taps continue to leak, have them repaired or replaced. nvesting in plumbing maintenance now will help you save money in the long run. Installing a low-flow showerhead is an easy way to significantly reduce water consumption. Even a 10 minute shower with a conventional showerhead can use up to 42 gallons of water. 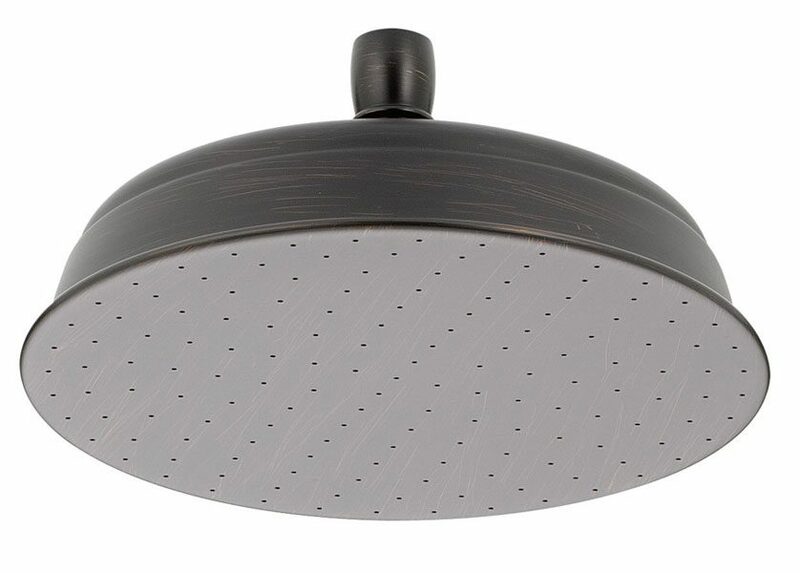 Low-flow showerheads are easy to install and use far less water. Go the extra mile and set a household shower-time limit. The teenagers in the home may be less than impressed but your reduced water bill will be worth the complaints. There are also low-flow toilets as well as low-flow aerators for any faucet that will furthermore lower your water consumption considerably. According to the American Water Works Association Research Foundation, the toilet is considered the home’s biggest water waster, with toilet flushing accounting for almost 30 percent of daily home water usage. To test your toilet for leaks, drop some food coloring into the tank. If the color seeps into the toilet bowl within 10 to 15 minutes, your toilet has a leak. Check around the base of the toilet for signs of water damage (rolled vinyl, black or white stains, etc.) 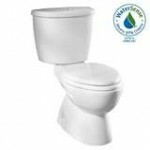 Prevent unnecessary water-loss by ensuring your toilet is leak-free. Exercise water supply valves under sinks and toilets to prevent them from sticking. This will ensure you will be able to shut the water off quickly in an emergency situation. While garbage disposals might seem like indestructible incinerators, certain items can lead to their demise. Poultry skins, celery, fruit pits and bananas are not garbage disposal friendly – they can cause a build-up of debris which can lead to blockages and offensive odors. Also, bones should never be put in the garbage disposal as they can damage the sides of the grinding chamber. Too many people think it makes sense to pour hot cooking grease down a sink or toilet. After all, you can’t pour it in the garbage bag. But when that grease cools it solidifies and sticks to the insides of your pipes. Over time, it will build up and block the entire pipe. Rather than dumping grease into your plumbing system, pour it in a heat-resistant container, let it solidify and then throw it in the garbage. If you must put some grease down a drain (last remains of a greasy skillet) follow it with a lot of hot water to clear the drain pipes. Yes, you should floss, but no, you shouldn’t flush your floss. Today’s dental floss is shed-resistant and won’t break down. When dental floss enters the sewage system, it bonds with other waste and forms large clumps that block pipes. For some, it’s common practice to flush discarded hair from hairbrushes or haircuts down the toilet as well as tissues, which is why there is an enormous market for anti-clog products. 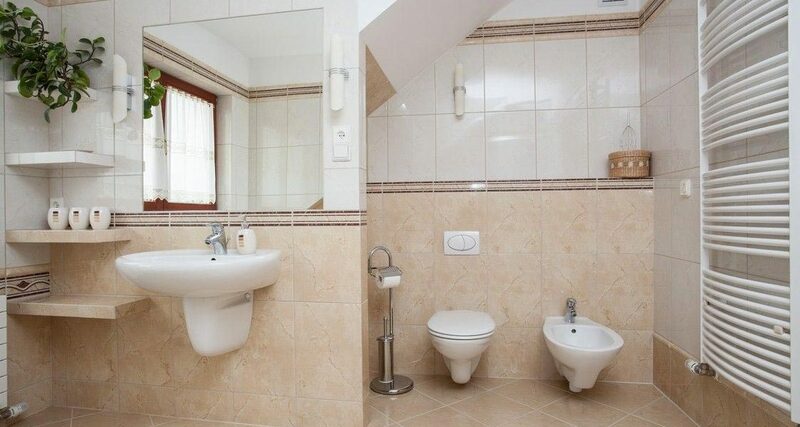 If you don’t want a backed up toilet, don’t flush tissues or hair. In case of a major incident – such as a pipe bursting – where you might need to immediately shut off all of the water in the home, it’s critical to know where the main water valve is located. This valve is usually located next to the water meter and should be kept in good condition. To maintain your home’s main water valve and keep it in working order, open and close it once a year. Whenever you leave town turn the dial on your water heater to “vacation.” That will keep the water temperature at a lower point and reduces the use of energy. Make sure you remember to turn it back to the original setting right after you come home. 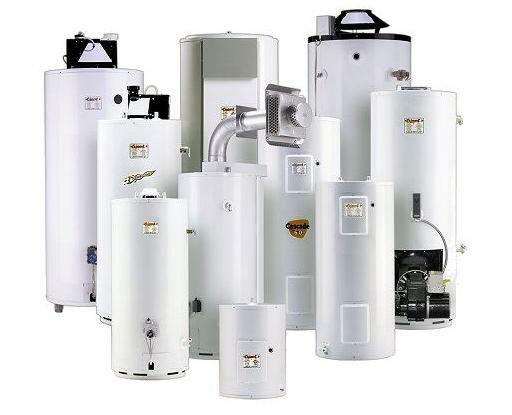 Consider replacing a water heater more than 15 years old. (The first four numbers of the serial number represent the month and year it was made.) Newer water heaters are more energy efficient. Make sure flammables are not stored near the water heater or furnace. Slow floor drains should be snaked to make sure they will carry away water fast if there is a flood. Standing water in a yard is a common problem caused by a leaky or broken pipe. Excess water in a yard might come from a damaged sewer line and contain waste from the home. This is unhealthy for children and pets, and is a breeding ground for insects and germs. To protect your pipes and keep them from freezing in the severe cold, turn off the valve that controls the tap for your garden hose. This will avoid water entering the hose and freezing, causing the pipes to burst. If in the spring an outdoor faucet drips or if it leaks inside your home the first time the hose is turned back on, you may have had a frozen pipe that cracked and needs to be replaced. The New Jersey rain and stormy weather is upon us. Don’t procrastinate stay ahead of the curve and help prevent costly repairs. Here are 10 DIY tips to help protect your home and save you during the winter months! 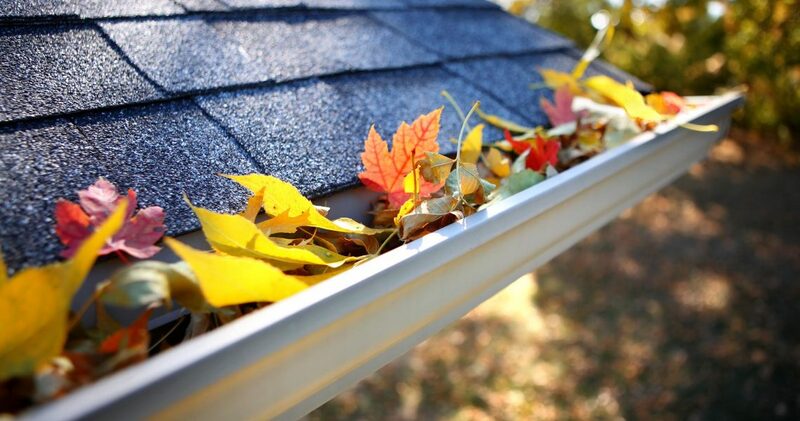 -Cleaning your gutters and downspouts should be done at least twice a year to help prevent clogging and flooding. If you are going to clean the downspouts and gutters be sure to have the right tools for the job. -Unhooking and draining your garden hose is an important task before the winter months arrive. To drain the hose yourself you can blow on one end of the hose and drain remaining water in the hose line. This will prevent water from freezing inside the pipe and cracking the hose. -There is nothing like a nice fire on a cold rainy night. Having your fireplace or wood stove serviced is very important before using it all fall and winter. -Servicing your water heater and getting it tuned up for the months ahead is a very important part of prepping for winter. There are many sites with instructions on how to tune your water heater yourself. However, this can be a very costly project if you do it incorrectly and damage your water heater. If you need assistance with this call Green Apple Plumbing at (888) 315-5564 and we can help get your water heater ready for winter! -Insulate the exposed pipes that you can see in your basement. Especially the ones near the outside walls. These pipes are most likely the ones that will freeze first. Another place to look for is the outside water spigot, these are a must to get covered with insulators. If you would like help with this project call Green Apple Plumbing at (888) 315-5564, we specialize in the home winterization process! 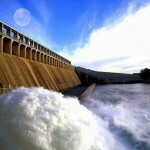 -This is a great service to keep on top of no matter what season it is. 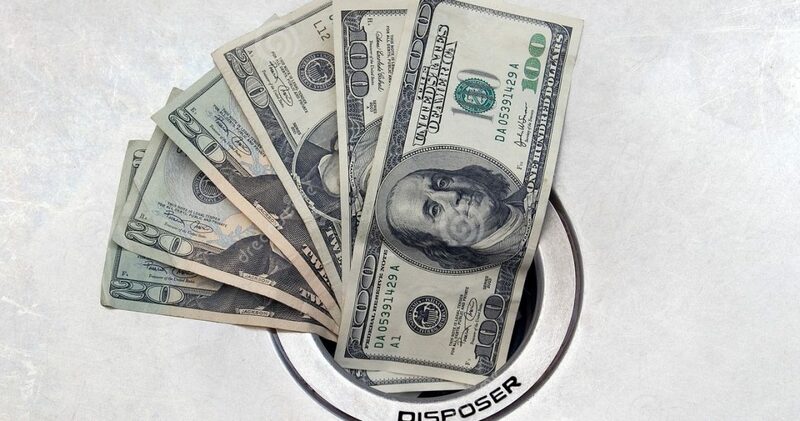 Keeping you Sewer and Septic system clean and free from clogs and other debris will save you money down the road. Also, if you have a Septic system fall is a great time to pump it out. -For the same reason as tip #6, the fall is a good time to insulate any open spaces where air can leak through and blow on exposed pipes. Check for drafts around common spaces like windows, doors, crawl space hatches and attic hatches. This will also help you keep the heat in and save money on your winter heating bill. -In case of a pipe break or leak you need to know where the water shut off valves are. This will help you save time and possibly avoid water damage. A 1/2″ blown pipe can shoot out upwards of 10 gallons of water per minute if you have high pressure plumbing in your house. -Change your filters and get your furnace tuned. You will save energy and money by having this service done. -Green Apple Plumbing is here to help with most of the services listed above. With free estimates and excellent customer service. Let us be a resource for all your plumbing, electrical, sewer, excavation, restoration and waterproofing needs. Have a question? Call us at (888) 315-5564 we will be happy to assist you!